In my last post, I wrote about information gathered by researchers which was helping support tortoise populations and make conservation efforts more effective, but there is still a lot to be done for tortoises around the world. There are a variety of ways that we can each contribute to tortoise (and turtle) protection, whether from home or further abroad. The ASU Desert Tortoise Genome Project is in the middle of fundraising for their work to better understand tortoise genetics and, thereby, better-plan management and conservation efforts. 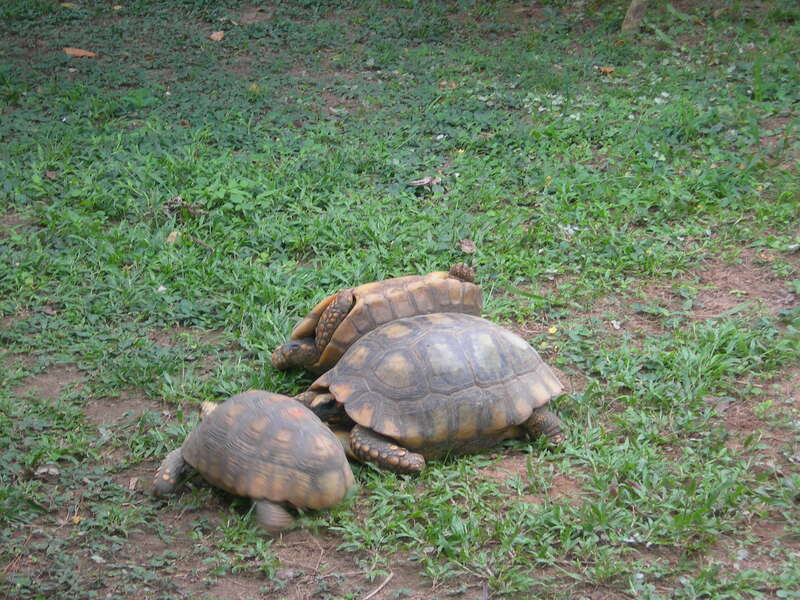 The Jill Martin Fund for Tortoise Welfare and Conservation helps support rehabilitation and training around the world. Conservation Fusion is involved in the Radiated Tortoise Project to help protect this species in Madagascar (and Madagascar tortoises need A LOT of help)- if you live in Omaha, you can also directly get involved with activities. The Galapagos Conservancy could use volunteers in their Fairfax, VA office. Likewise the Galapagos Conservation Trust is looking for office and data entry/management volunteers. The San Diego Zoo Global Wildlife Conservancy has a “I ____ for Wildlife” campaign- you pick the activity and create a fundraiser. Defenders of Wildlife would like you to sign an online petition to keep the Desert Tortoise Conservation Center in Nevada from being closed later this year due to lack of funding. The Gopher Tortoise Council has guidelines for yard plants to make your property better tortoise habitat. Florida Fish and Wildlife is looking for ‘waif tortoise recipient sites’- basically these are tortoises that are being relocated due to a non-permitted event. The California Turtle and Tortoise Club hosts special events and activities to promote turtle/tortoise protection, and you can volunteer to help with snapping turtle relocation. Arizona Turtle Conservation and Management has an Ornate Box Turtle Watch program to keep track of this species (and you can also adopt a turtle). The Turtle Survival Alliance is looking for volunteers at their center in South Carolina, as well as participants for regular turtle counts in Texas and Florida. Florida Fish and Wildlife has a gopher tortoise location app in the event that you see a tortoise while you are out and about, but they are also looking for help in collecting other gopher tortoise data. As it turns out, tortoises and turtles have a good sense of their home range and can be pretty persistent in trying to move throughout it- if they are moved to a new location, they will even attempt the trek back home. If you find a tortoise or turtle in the road, you can move it across the road in the direction it was heading (assuming that you aren’t putting yourself at risk in traffic or from the animal), but don’t move it any farther than that. If you move it away from its intended destination, it will simply try to cross again. Check out this Texas tortoise brochure from the Houston Zoo for more info. So there are many ways to get involved in tortoise conservation- I’m sure that this list is far from complete, but hopefully it gives you a starting point for some tortoise adventures.